The Far East Film Festival launches its 20th edition on 20 April with Netflix’s South Korean spy thriller Steel Rain, playing for the very first time on the big screen. The world premiere of Namron’s Malaysian drama Crossroads: One Two Jaga will also screen on Opening Night at the festival in Udine, Italy. A total of 81 films from 11 Asian territories will be screened over 9 days, closing on 28 April with Indonesian war thriller Night Bus. Hong Kong screen legend Brigitte Lin is this year’s guest of honour, with the festival screening 6 of her best-loved films, including Ronny Yu’s The Bride with White Hair, Wong Kar-wai’s Chungking Express and Raymond Lee’s Dragon Inn. Among this year’s highlights include Korean thrillers 1987: When the Day Comes, the director’s cut of Ryoo Seung-wan’s Battleship Island and found footage horror smash Gonjiam: Haunted Asylum. From Japan come the world premieres of Kazuya Shiraishi’s The Blood of Wolves and Shinichiro Ueda’s One Cut of the Dead, in addition to lauded dramas Side Job and Kiyoshi Kurosawa’s latest, Yocho (Foreboding). 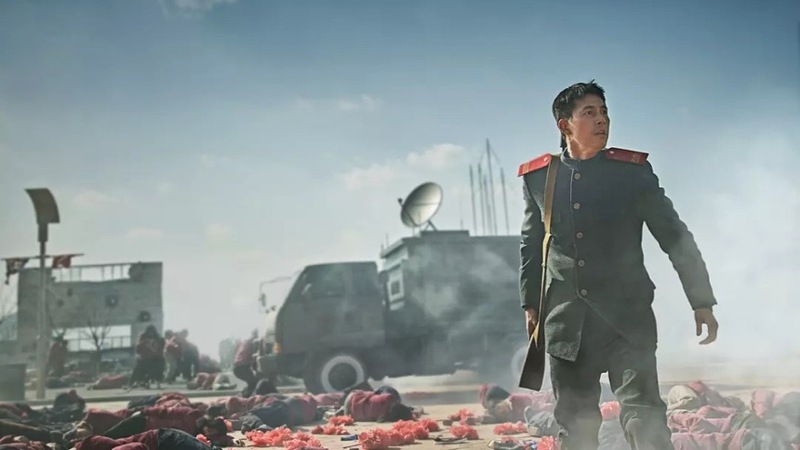 Offerings from China include Wu Jing’s box office sensation Wolf Warrior II, Ding Sheng’s A Better Tomorrow 2018, Chen Kaige’s Legend of the Demon Cat and Feng Xiaogang’s award-winning wartime epic Youth, to name just a few. The latest works from Hong Kong directors Dante Lam (Operation Red Sea) and Ann Hui (Our Time Will Come) will also play alongside Chapman To’s karate drama The Empty Hands and Derek Chiu’s No.1 Chung Ying Street. From Elsewhere in Asia, Joko Anwar’s horror remake Satan’s Slaves will be playing, alongside the world premiere of Filipino black comedy Chedeng and Apple and Nattawut Poonpiriya’s brilliant high-school exam heist caper Bad Genius. In addition to the Brigitte Lin retrospective, FEFF boasts a wide selection of restored classics this year, fronted by the world premiere of Johnnie To’s newly restored martial arts favourite Throw Down. Other classics include Ishmael Bernal’s Himala, Juzo Itami’s Tampopo and 60s pink eiga Blue Film Woman. The full lineup and festival schedule can be found on the FEFF website, and ScreenAnarchy will be on the ground in force to report on this landmark 20th anniversary edition of this epic celebration of Asian Cinema.